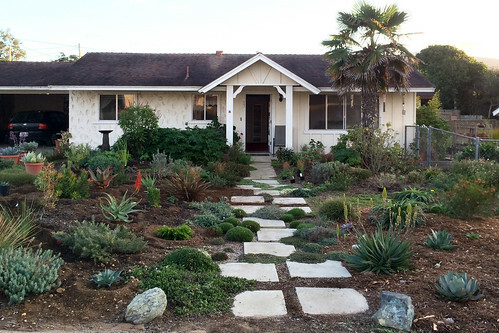 A horticulturist and garden designer living in California. Ballota pseudodictamnus. How could I not be? Look at it. Just look at it! This is one of the few survivors of my original mediterranean garden. It is on the edge of the garden so survived the backhoe that dug a 12 foot deep hole in my garden to install a sewer lateral. I decided to keep this plant here when I changed the garden over from mixed mediterranean to California natives (even though it is native to Greece). And I will keep it here even though I will shortly be transforming this garden yet again from California natives to South African Restios, succulents, and Proteas. 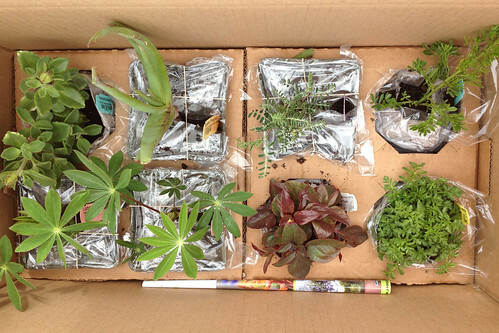 More on my future garden plans soon! But in the meantime enjoy a fuzzy closeup. 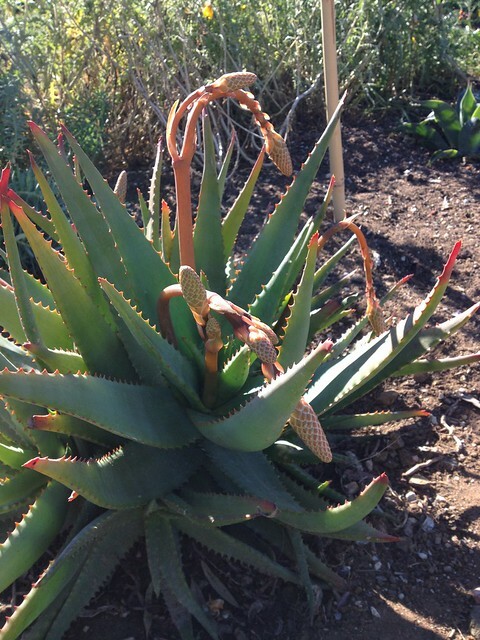 I meant to post a picture of Aloe Moonglow when it was at peak bloom a month ago but I got busy and forgot. So here you go! It is finished now but January 10th it was looking particularly stunning. This week my hardscape project is going on at my house. I’ll post an update soon. It has been rough keeping up with blogging as I have a lot on my plate right now. I’ve been very busy with work, I have been developing my garden and have some big plans for it in the future and I have a few planted aquariums now that are a lot of work. 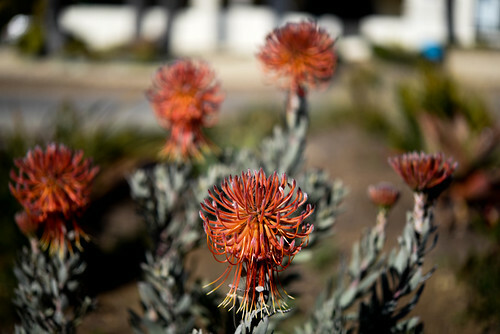 One of my new plants in my garden redesign is this Leucospermum reflexum. Usually I don’t like to post pictures of plants that already had buds when I bought them as I think it is cheating if I didn’t get it to bloom myself. But my track record so far with Leucospermums is pretty bad so there is no guarantee it will be alive to bloom next year! They are tricky. Lots of changes in my home garden coming up so I look forward to sharing more when it is further along. I found the above photo while I was looking for inspiration for a garden I just designed. The focus was to be a native wildlife garden and there is nowhere better to look for ideas than my own garden when it comes to attracting wildlife. 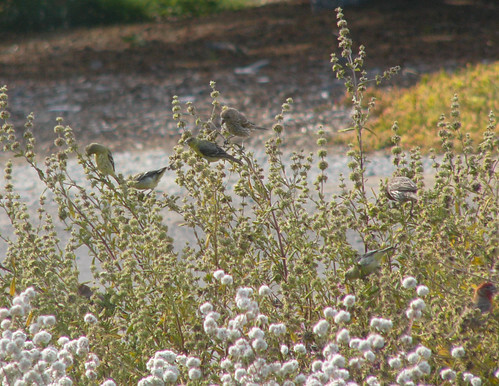 Last July the finches were going crazy for the Salvia mellifera which was going to seed. It is not the most ornamental of sages but it gets an A+ for wildlife. It attracts hummingbirds and butterflies while in bloom and all sorts of finches and California quail once it goes to seed. Plus it is a local native so very little water is needed to keep it going. 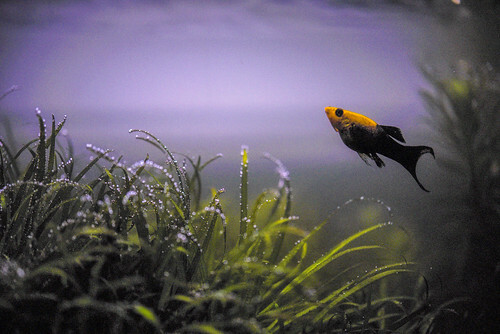 I have kept fish since I was quite young and of course my life for plants found its way into my aquariums as well. It is definitely a bit more tricky keeping aquatic plants and dealing with issues like algae and pressurized CO2 injection. I have run into all sorts of obstacles and problems but I am pretty happy with my results so far. 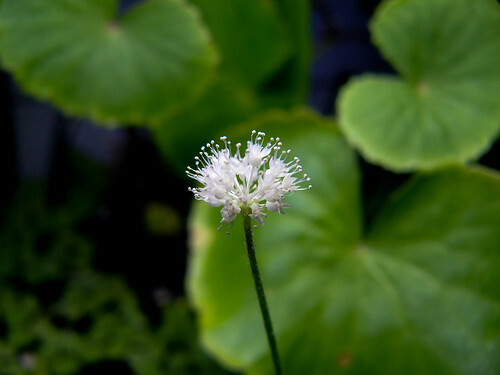 I am pretty impressed with myself that I got Hydrocotyle leucocephala to bloom in a little aquarium in my office. And I was fooling around with my new camera and I snapped this picture of Blyxa japonica pearling with a female panda lyretail mollie looking on. Really happy with my aquarium of SE Asian and Australian fish. The aquascaping still needs some work. I am still at the point where I want to grow every different plant I read about so it is stuffed with plants rather than a cohesive design. But I finally got a problem I was having with green water cleared up so the tank is looking nice and these beautiful rainbowfish and rasboras are really fun. 2014 was a pretty rotten year for me. But things have been looking up garden wise at least lately so I am hoping for a better 2015. Fun to see the stats for the blog this past year at any rate. Hopefully more exciting things to come and lots of garden updates soon. I love California after the rain when the hills turn fluorescent green. 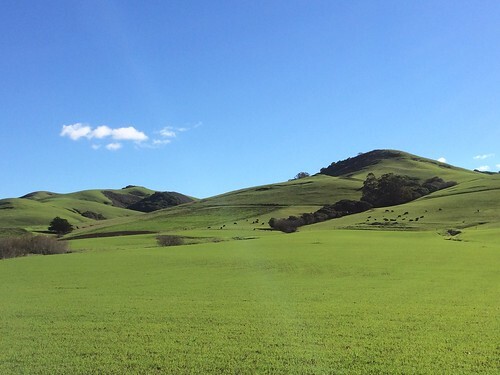 This is one of the farms along Los Osos Valley Road. Last year at this time we had a few days of unusually cold weather. It got as low as 28 degrees for a few hours which is pretty rare. A few of my plants did not appreciate this dip below freezing. 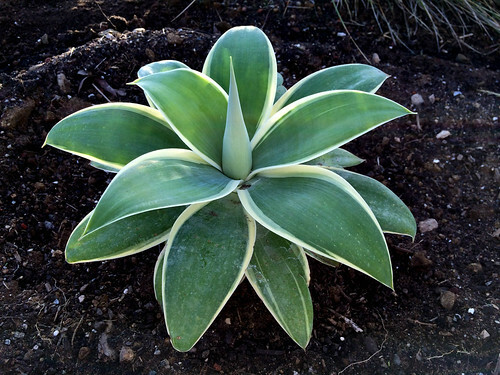 I really thought this Agave attenuata ‘Ray of Light’ was done for. All the leaves were mush. There was just one central leaf that wasn’t destroyed. I almost threw it away but something told me to give it a chance so for a few weeks I would bring it in at night when there were threats of frost. And then it went back into my plant ghetto and I pretty much forgot about it. Well I am happy to say that a year later it has made a remarkable recovery. 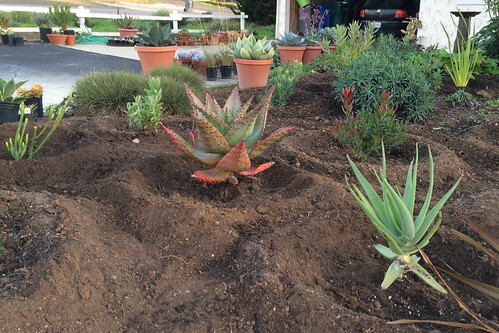 I planted it out the other day in the new Protea and succulent border. 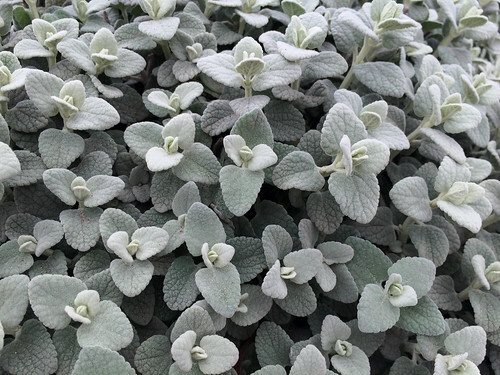 Hopefully now that it is planted in the ground it will be a little more resistant to freezing weather. 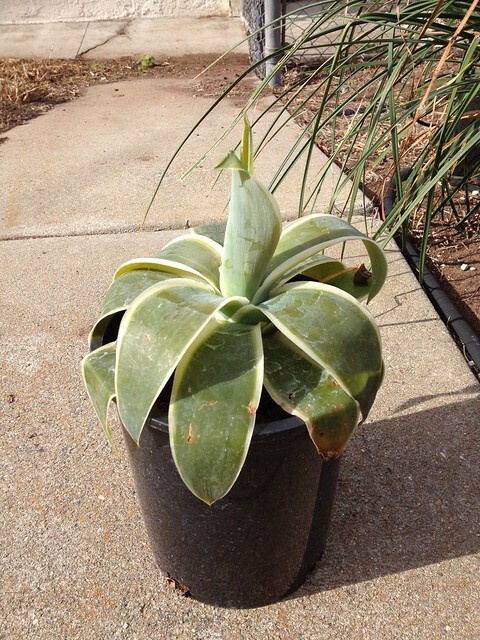 Aloe Moonglow was a huge disappointment. It was covered in buds for the first time and despite my attempts to protect it with sheets they were all limp the day after the worst frost. This year Moonglow is looking better than ever and has at least a dozen spikes. The forecast shows temperatures no lower than 42 degrees for the next week and hopefully it stays that way until at least February. And more rain would be appreciated as well. So far we are off to a good start this year but I wouldn’t mind it raining at least once a week from now until spring to help make up for the past three years of drought. I’ve been revamping much of my garden recently. If you have been following along the past three years you will remember the initial installation and the updates over the years. Because I didn’t really have the time to care for it I had pretty much left it to its own devices. This worked out pretty well and I ended up with a lovely garden of native and mediterranean climate annuals. This style of garden is great because it is basically free (after the initial purchase of plants the first year) and looks great while it is in bloom. 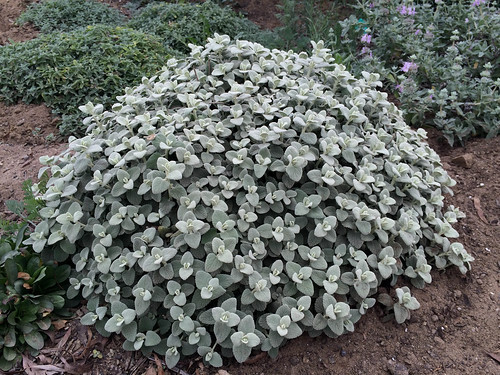 The downside is that when it is not in bloom it looks pretty wretched and it is actually pretty high maintenance to care for it over the long term if you want it to look nice. I wanted a bit of a change so I decided to create a Proteaceae and succulent garden. This type of garden is ideal for my warm, dry, coastal climate. 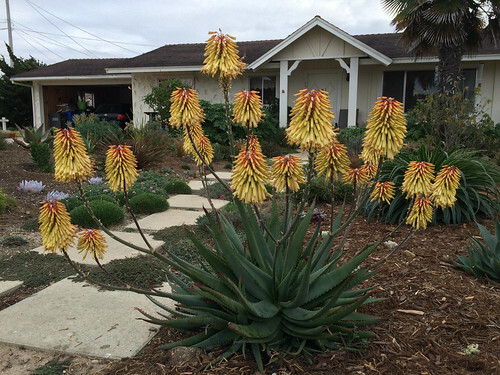 It looks good year round, needs very little water once established (once a month should do the trick), and for the most part is low maintenance (though the succulents will need to be lifted and divided over time and the Proteaceae will probably need replacing now and then. They like to die). We had almost a week of rainy weather and before the storms started I quickly planted out most of the Proteas. 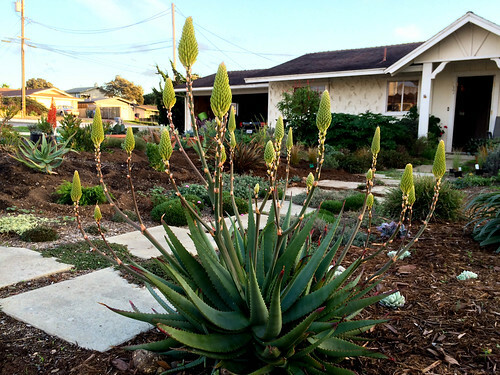 We had a break in the rain today and I planted out some of the larger Aloes. I’ve been collecting Aloes and other large succulents the past few years but they grow surprisingly fast in containers and need pretty regular potting up. It was time to put them in the ground so they can look their best. It has grown pretty dramatically the past year and a half and as of this morning resided in a ten inch terra cotta pot. 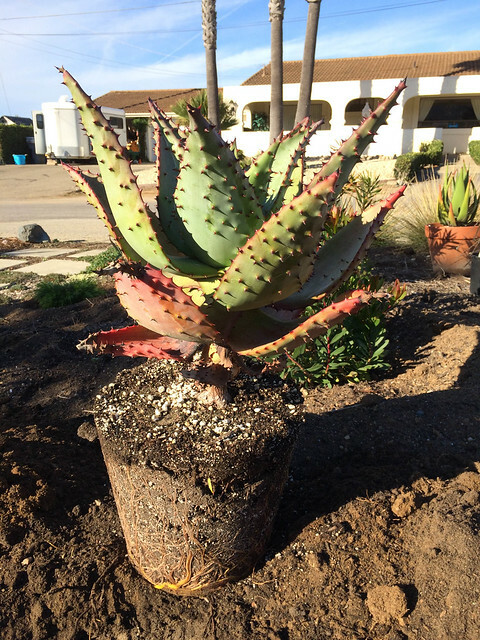 Incidentally, I don’t recommend terra cotta for big Aloes. Very difficult to get them out without damaging them! 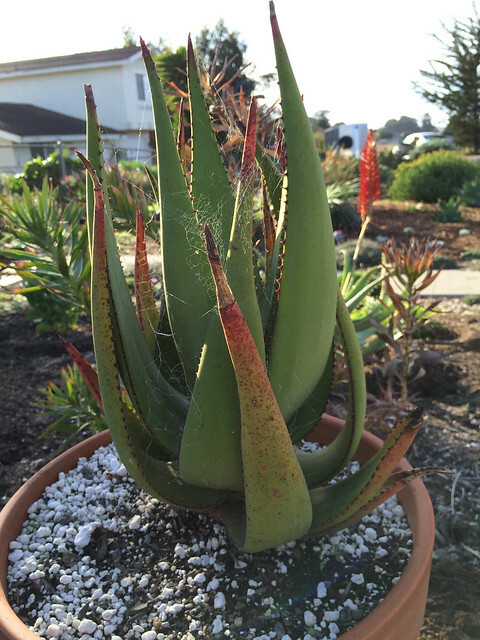 I bought Aloe marlothii from San Marcos Growers about two years ago in a one gallon pot. Now it is ready to be a dramatic specimen plant in the center of the border. They both look pretty great planted out. They don’t really need the big watering wells. But since the shrubs, perennials, and grasses do I think it looks better if everything is uniform. It also helps me a bit in not planting things too close together since I have been designing this garden on the fly. 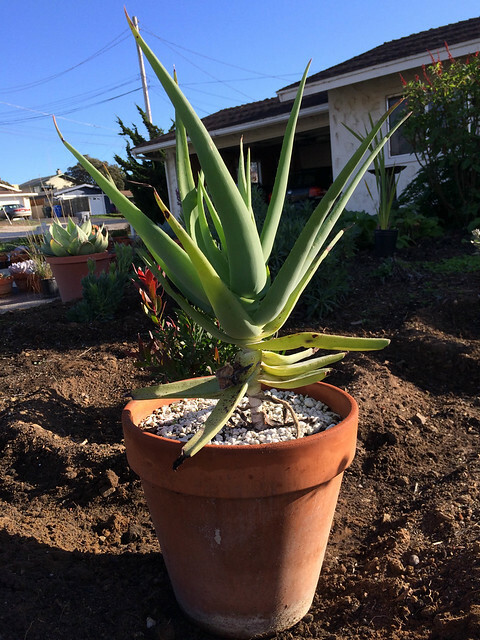 Aloe wickensii I have had for at least four years. Originally purchased in a four inch pot back when I lived in West Hollywood or maybe even Santa Monica. The new gardens are starting to take shape but they are still a work in progress.